Final Fantasy Versus XIII Name Change on the Cards? Amazon Japan seems to think so. Take this with a grain of salt, but given the absolute lack of news regarding Square Enix’s Final Fantasy Versus XIII, headed by Kingdom Hearts director Tetsuya Nomura, it’s still quite intriguing. 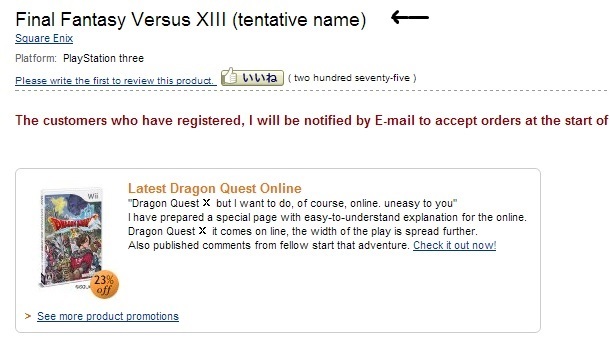 According to Amazon Japan, which features the Playstation 3 exclusive (for now) as a listing, we can see the words clearly marked beside the title which read “tentative name”. For those who don’t know, this means the name is subjective to change. 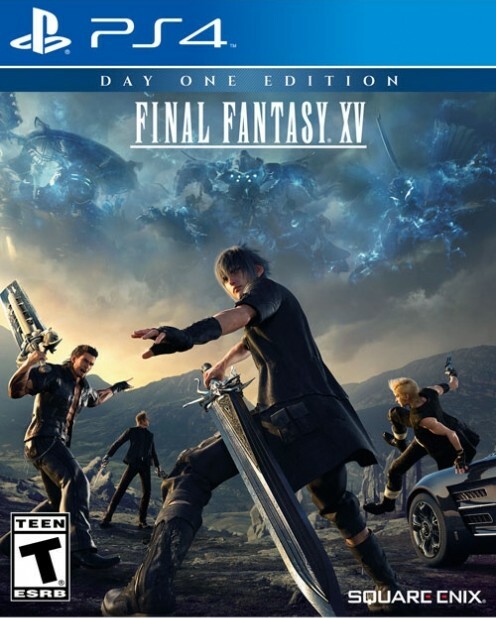 However, it could be that the game is so early in development – which is a given since the entire team at SE has been concentrating on Final Fantasy XIII and XIV – that there hasn’t been proper confirmation. This is evidenced by the change of Final Fantasy Agito XIII to Final Fantasy Type-O. Of course, one has to consider that that title no longer had anything to do with the Fabula Nova Crystallis project. Does Final Fantasy Versus XIII even hold that distinction anymore? 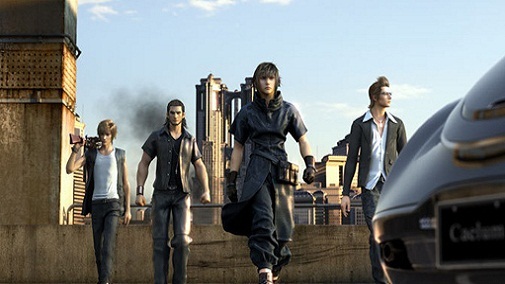 We’ll find out in the coming months as news begins to emerge about Versus XIII.